Underfloor heating systems are a great alternative to radiators or warm-air ducts. 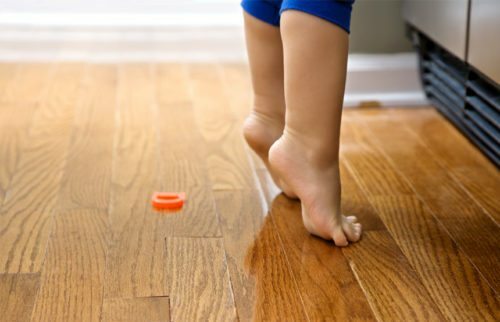 When considering your heating options, don’t just focus on your walls—take a look underneath your floors as well! Read on to learn about underfloor heating and the associated costs. How much should you expect to pay for underfloor heating? In general, the cost of installing electric underfloor heating ranges from £25 to £50 per m2. For wet systems, the price is much higher, reaching around £80 – £100 per m2. However, underfloor heating costs are subject to change depending on your individual situation. For example, installing underfloor heating in a new build home tends to be cheaper than retrofitting a heating system. The total cost you’ll end up paying will also depend on how many rooms you want to install underfloor heating in. As a point of reference, electric underfloor heating for an entire 3-bedroom home will cost around £2,000, while wet systems can reach up to £4,000. How do you know if underfloor heating is right for you? By gathering as much information as you can. And where do you find this information? By contacting heating companies, of course! Get in touch with professionals so you can ask them any questions you have, and to also compare their prices. By using our form, you’ll be able to compare up to 5 trusted specialists, potentially saving you up to 40% off your underfloor heating costs! So what is underfloor heating? Underfloor heating does what it says on the tin. It is a heating method where the heating system is located underneath your floor. There are two types of underfloor heating systems: a dry system and a wet system. The dry type is commonly known as electric underfloor heating and consists of electric coils spread throughout your floor. A wet system uses a series of pipes with hot water flowing through them to heat up the room. 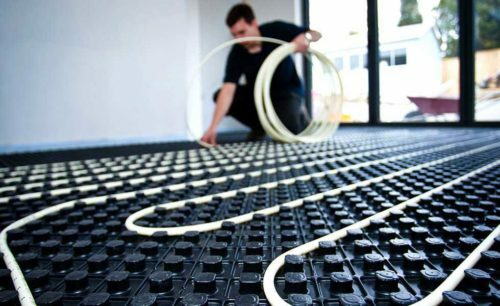 For electric underfloor heating, electric cables or open-weave mesh mats are placed underneath your floor. These heating elements are connected to your thermostat and your mains power supply. In wet systems, your central heating system acts as the power source. Your boiler pumps warm water through pipes that run atop the sub floor, and underneath the top floor of a room. 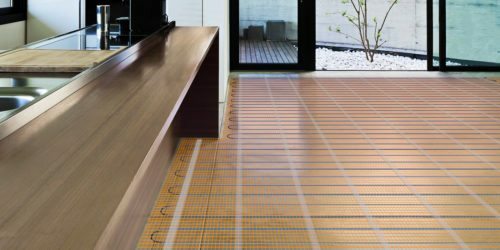 Although electric underfloor heating systems are generally cheaper to install, they are more expensive to run due to high electricity rates. Conversely, wet systems are more expensive to set up but have relatively low running costs depending on your central heating system. The components of an electric system are thin and easy to install compared to the pipe network of a wet system. With just an electric connection, you can install the wires or mats on your own. You’ll need to place the heating elements above a layer of insulation to force the heat to rise. Wet underfloor heating systems are easier to install when the whole floor can be taken out or if a new floor is being built. These are newly-built homes or extensions. 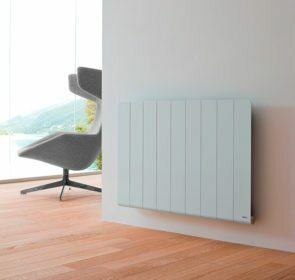 The electric type is more suitable for when you want to retrofit it into an existing room. The electric coils are thinner compared to water pipes. There needs to be enough space for your wet system or else the ground needs to be raised. 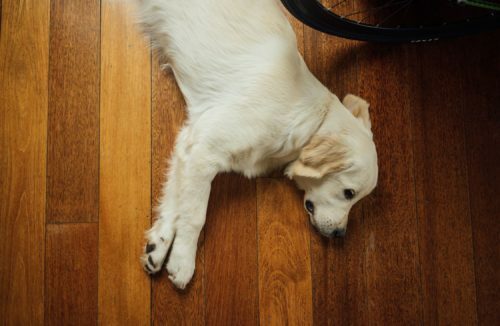 Underfloor heating comes with both benefits and disadvantages. That’s why you should think very carefully about whether or not underfloor heating systems are right for your home. With underfloor heating in place, you’ll enjoy the luxury of warm floors which is especially nice on dark, cold winter mornings. You save room since there will be no need for obtrusive radiators. Without these radiators, you’ll preserve clean lines across your room and keep the walls and hallways clear. Underfloor heating systems are also incredibly efficient. Using the principle that hot air rises, underfloor heating evenly distributes heat throughout the whole room. The hot air next to a radiator rises up quickly rather than throughout the room. As such, it loses its efficiency compared to underfloor heating. Since underfloor heating is more efficient than radiators, it can work at a lower temperature (floor heating reaches temperatures of 23℃ to 32℃ compared to 40℃ to 65℃ for radiators). Underfloor heating installation requires quite a bit of investment. 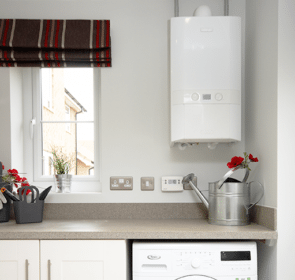 The cost and tasks involved with installation means it’s better for newly-built houses. Since underfloor heating systems require the entire floor of a room to be ripped out, it is also suitable for times when you are having work done on your floor. This makes installation quite inconvenient. Another disadvantage is that it takes a while to heat up. Due to lower water temperatures, underfloor heating need more time to warm up a room and require a timer to work for your requirements. Certain furniture items cannot sit on top of underfloor heating systems. Be careful about placing antique furniture as they might be damaged by excessive heat. 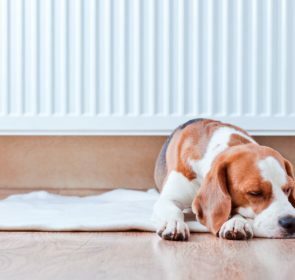 Thick rugs and dog beds are also known to trap heat and cause issues. As is the case with radiators, larger rooms require an underfloor heating system with greater capacity. This could potentially drive up your heating costs as you’ll need to expand the heating coverage or purchase radiators anyway. Keeping your home warm, all while paying a reasonable price—this is something we all want. If you take the time to examine your heating options and prices, you’ll achieve this. Receive quotes on different underfloor heating systems by reaching out to 5 companies. It takes only 1 minute, potentially save you 40%, and helps to bring the right choice to light.